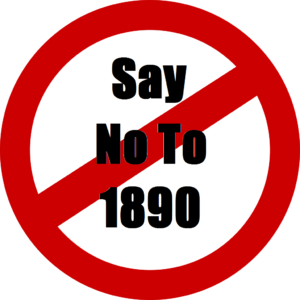 CONSUMERS are being forced to use expensive 1850, 1890 and 0818 phone numbers for customer service, making complaints and even when enquiring about products that are recalled over safety concerns. Legislation introduced earlier this year was supposed to end the scandal by banning helplines from charging more than a “basic rate” for phone calls. However, the new law stretches the definition of basic rate to include 1850, 1890 and 0818 phone calls, even though it could cost up to €5 to call these numbers. The EU Consumer Rights Directive, introduced into Irish law in June, requires calls to after-sales helplines to be charged at no more than a basic rate, which could mean the call is free depending on your phone package. The definition is so broad, however, that businesses can continue using 1850, 1890 and 0818 numbers for these services. “Revenue sharing” 0818 numbers, which allow businesses to profit from customers’ complaints and requests for help, are generally the most expensive. “Allied Irish Banks and Bank of Ireland switched to 0818 numbers as soon as they ran into trouble,” said MacShane. State agencies use 0818 numbers too, including the Department of the Environment’s motor tax office, the Private Residential Tenancies Board and the motorway incident number run by the National Roads Authority. “I’ve even seen 0818 numbers on product recall notices,” MacShane said. HOW DO PHONE NUMBERS WORK? Known as a Callsave number, 1850 involves a flat charge of 5c to 31c no matter how long the call. LoCall 1890 numbers have a flat charge of 5c-31c per minute, with the total cost depending on the duration of the call. The bill could be considerable for those calling Irish Water’s 1890 number because of long delays in answering calls. Revenue sharing numbers — starting with 0818 — allow firms to share the cost of the call with the telecoms provider. The most expensive numbers start with 15 and are often used by TV quiz shows. Costs are typically 30c to €3.50 a minute and considerably more from a mobile. WHAT ABOUT MY INCLUSIVE CALLS? Mobile and home phone packages usually include a number of free calls to geographic numbers such as Dublin numbers with the prefix 01 or Cork numbers that begin with 021. Most landline providers such as Eircom include free weekend calls to these numbers. The “inclusive” minutes exclude 15 and, in most cases, 1850, 1890 and 0818 numbers. CAN I AVOID THE PREMIUM CHARGES? Firms that highlight a premium-rate number sometimes also include a number for overseas callers. This is normally a standard-rate number with the prefix 00 353; substitute the 00 353 with a “0” to avoid the premium rate. Some providers, like Bank of Ireland, highlight an 0818 number for getting in touch with customer services, although it also lists an 01 option. The website saynoto1890.com lets you look up the company you want to call and then lists alternative, cheaper or freephone numbers for that business.